Predator drones are very, very good at what they do, but $8 million will only get you about half of one. Doesn't matter which half, that guy ain't gonna to fly. Instead, the US Navy is investing in a smaller, lighter, more versatile recon drone. US Naval Air Command recently awarded Boeing subsidiary Insitu an $8.8 million contract to supply the military with a one-off model of its new RQ-21A Blackjack UAV. The svelte, 80-pound, twin-boom, single-engine flying machine measures 8 feet long with a 16-foot wingspan with a 104 mph top speed, 19,500 foot service ceiling and 13 hour-plus loiter time. What's more, the Blackjack can easily adapt to both land and sea-based missions thanks to its pneumatic launcher—the same used by the Scan Eagle—and net-based recovery system, neither of which require a runway of any length. 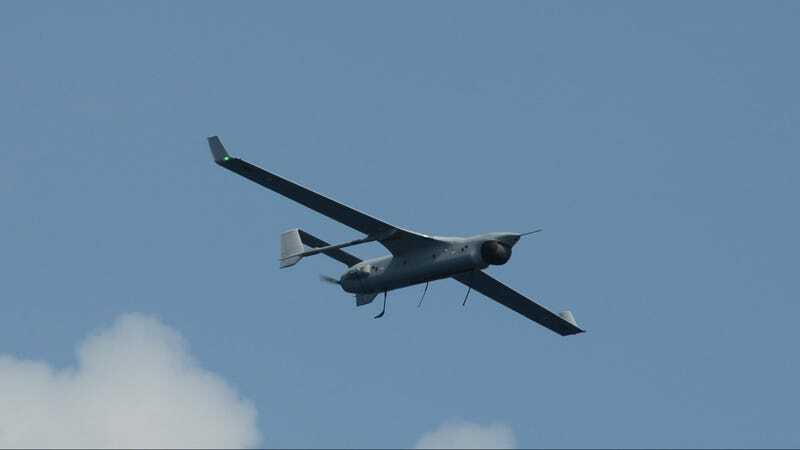 But the RQ-21's real value comes from its highly configurable, modular component design. It can carry a wide range of surveillance gea, -from visible-light and infrared cameras to communications and long-range detection systems. "It has a configurable payload that allows you to integrate new and unique payloads that are specific to the mission in addition to an [electro-optical/infrared] camera," Marine Corps Maj. Wayne Phelps, told Defense Tech. "You can have multi-mission ability. This allows you to do some type of unique cross-cuing types of missions."